We are committed to the highest standards of practice for providing consistently superior quality aerial solutions to our clients. Established in 2012, JZAerial Inc. is a leading provider of premium quality aerial photography, aerial video, and aerial mapping solutions in Alberta using the latest in drone and camera technologies. Jan Zalud, the company’s Founder and President, is also the chief pilot, photographer and videographer. Jan has over twenty-nine years of experience designing, building and flying remotely-operated aircraft and over six years experience operating semi and fully-autonomous fixed wing and multi-rotor drones/UAVs. When not out on client sites working, Jan continues to hone his aerial photography and video skills to get those perfect angle shots and video footage that will provide truly impactful difference in the marketing of JZAerial clients’ properties and listings. Jan has a Bachelor of Commerce and MBA degrees in International Business and Marketing from the I.H. Asper School of Business in Winnipeg, Manitoba. Together with our partners, we are committed to the highest standards of practice for providing consistently superior quality aerial solutions to our clients. 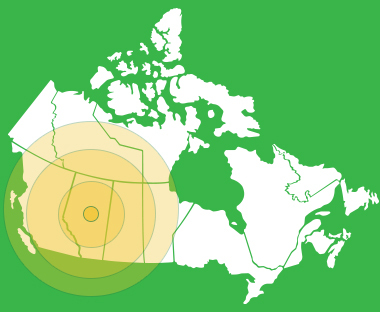 While our primary areas of operation are in Central and Southern Alberta, we are able to provide our services throughout all of Western Canada, including Manitoba, Saskatchewan, Alberta, British Columbia, Yukon and parts of Northwest Territories.